Considering postgraduate study at the University of Liverpool? This is the time of year when finalists will be thinking about their options after their studies. If you’re considering a taught MA programme in CLAS or any other subject area within the School of Histories, Languages and Cultures, come along to the Postgraduate Open Day, Wednesday 28 October. At 2.30pm, there will be a talk on finance and accommodation in the Gordon Stephenson Building (109, D3 on map), Lecture Theatre 2. At 3.pm, a talk will be held on the MA options available within Cultures, Languages and Area Studies, 9 Abercrombie Square (144, D3 on map), History Lecture Room 1. Find information on all other talks to take place on same day within the School of Histories, Languages and Cultures here. You can find out more about our research specialisms here. One of the the most valuable aspects of the Erasmus year abroad placement is the opportunity to be immersed in the country’s culture. At least this was the case for the Hispanic Studies finalist Marie Boon, who with an interest in all things artistic and underground, frequently exploited Barcelona’s rich offerings of jam sessions, vintage markets, gigs and galleries. In November 2011, the photographer and designer Olimax, together with Eat Meat Raw gallery, organised an event in which members of the public were invited to attend a photo shoot demonstrating an item that represented their personal experience of Catalonia. Admiring the rustic bakeries that line the streets of Barcelona, Marie decided to create her own version of the Catalan beretina hat, featuring a homemade ensaïmada, a Mallorcan pastry delicacy. The resulting photographs later formed part of an exhibition, a book and a short film named All i Oli: an Homage to Catalunya. While attending various free workshops during one of the city’s many film festivals, Marie was also invited to take part in a community radio project, Ràdio Alòs, which would meet weekly in a young people’s support centre in central Barcelona. Participants were taught how to use recording equipment and editing software that enabled them to record news reports and radio-theatres and then edit them into short podcasts which they published online via a blog that they collectively created. The group, which comprised an ethnically diverse range of young people from the neighborhood, attended local events to hear from the organisers and contributers or interviewed the public in the street on local issues. As the only foreigner, the project was a fantastic way for Marie get to know the locals. Marie reports that they gave her a warm welcome into their community and they remain her close friends. On her return to the UK, Marie interviewed Catalan Paralympic swimmer Julia Castelló during the Olympic Games, and continues to work on other mini radio podcasts that combine British and Catalan current affairs. 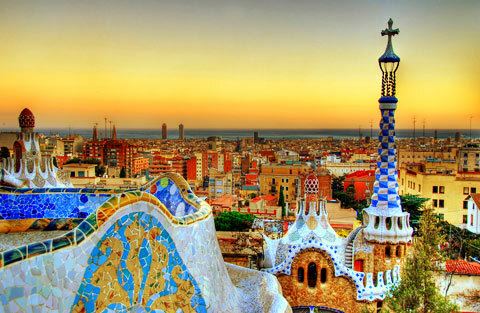 All in all, Marie describes her year abroad as an invaluable experience, during which she dramatically improved her Spanish and Catalan language and acquired a love for the culture, the people and the city of Barcelona. You can hear Marie’s radio interview made during the Olympics here! In collaboration with the Insituto Cervantes de Manchester, the Iberian and Latin American Studies section is delighted to announce that the award- winning Spanish writer Manuel Rico will be speaking at the University of Liverpool next week. A unique and distinctive voice in the Spanish literary field, Manuel Rico has engaged in some of the most important discussions in contemporary peninsular literature. His poetic and narrative works have enjoyed wide critical attention and praise. 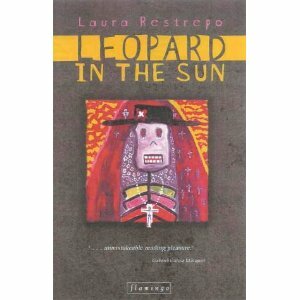 Some of his most notable poetic works are La densidad de los espejos (Juan Ramón Jiménez Award, 1997), Donde nunca hubo ángeles (2003), De viejas estaciones invernales(2006), Monólogo del entreacto (2007), and Versiones del invierno (2007). Chief amongst his most significant narrative works are Trenes en la niebla (2005) and Verano (Ramón Gómez de la Serna Award, 2009). He is also the author of a study on Manuel Vázquez Montalbán, Memoria, deseo y compasión (2001). The seminar will take place on Wednesday, 28 November at 4pm (room 401, Cypress Building find map here). 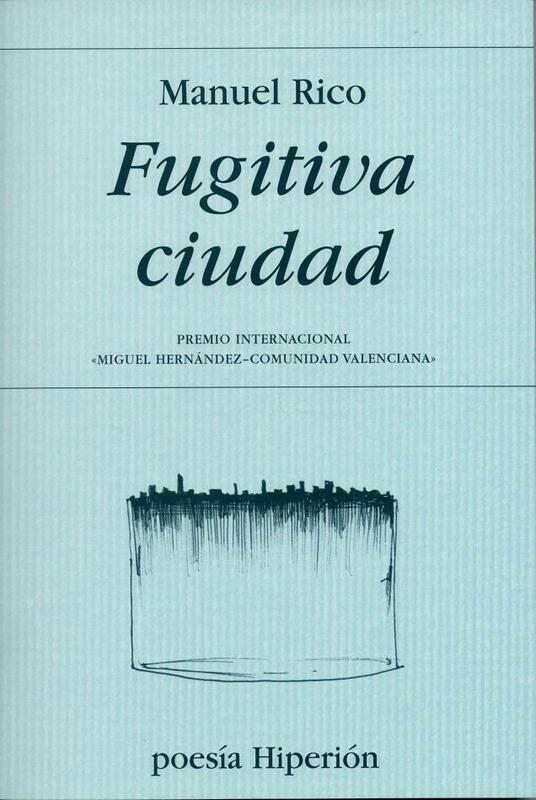 Manuel Rico will provide an overview of his own work and Spanish poetry, and will also read from his latest anthology of poetry, Fugitiva ciudad, which was awarded the Premio Internacional de Poesia Miguel Hernández earlier this year. Everyone welcome! 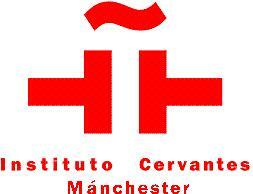 This event will be held in proud collaboration with the Instituto de Cervantes de Manchester. I have an interest in the increasingly derogatory ways in which young people in cities are represented and perceived. We see this all over the world, where young people, especially marginalised young men, are stigmatised through many media, including sensationalist media reports. My research focuses on this phenomenon in Colombia, in the fifteen year period between 1990 and 2005, when the country was recognised by many as the most violent in the world. During this time, drug barons and their hired assassins (sicarios) waged war against the state, before the drug barons were captured and killed, and remained in the public mindset as young men to be feared. 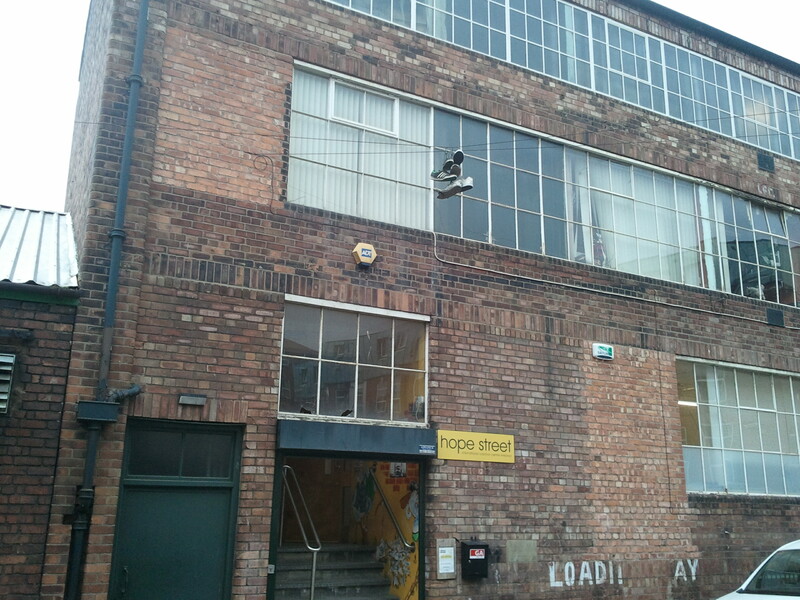 The young men were predominantly recruited from the marginal neighbourhoods from the edges of the city. ,,Where are you from?“ ist wahrscheinlich die Frage, die mir in den letzten Jahren in Liverpool am meisten gestellt wurde. Diese Frage erzeugt bei mir immer wieder einen inneren Identitätsmonolog. Geboren in Indien, Vater Rheinländer, Mutter Sri Lankisch, Pubertätsjahre in Südafrika verbracht – unmittelbar bevor das Apartheitssystem abgeschafft wurde – Abitur und Universität in Deutschland beendet und nun lebe ich seit 3 Jahren in Liverpool. Diese Orte haben all ihre Fußabdrücke in meiner Identität hinterlassen, haben mich beeinflusst, mich bereichert und vieles gelehrt. Und gewiss habe ich noch Platz für viele weitere Spuren in meinem Leben. Identität ist eben kein rigides Konstrukt, sondern durch äußere Umstände und Umgebungen jederzeit veränder- und beeinflussbar. 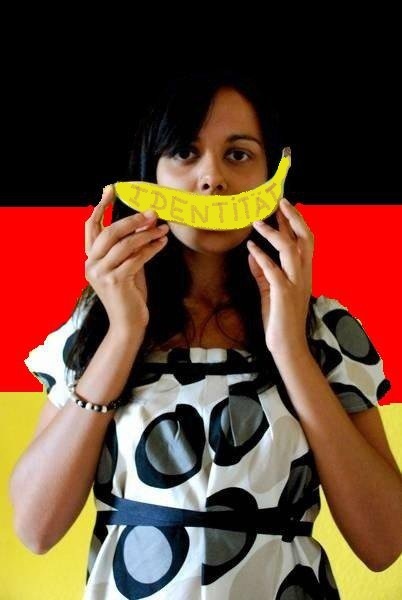 Doch selbstverständlich erspare ich den Leuten diese Erklärung und antworte mit einem einfachen „I am German- Sri Lankan.“ – und Schluss. Seit ich in Liverpool wohne, hat sich mein persönlicher Identitätsmonolog stark verkompliziert. Sobald ich ‚German-Sri Lankan‘ antworte, bekomme ich verschiedene Reaktionen. Fabien Cappe, a tutor in French, blogs about French and British stereotypes. Précision importante : le contenu de cet article ne reflète pas l’avis du bloggeur et transcrit une vision plutôt très réductrice de la France, du Royaume-Uni et de leurs habitants. Entente cordiale, n’est-ce pas ?! Après de nombreuses heures de réflexion à me demander sur quoi j’allais écrire cet article pour la journée internationale du blogging, j’ai eu la révélation : sur les stéréotypes et les clichés qu’ont les Français sur les Anglais. Et si l’inspiration est toujours là, ça sera aussi sur ceux que les Anglais ont sur les Français : pas de jaloux ! L’Anglais est un individu étrange et excentrique. Il commence sa journée en avalant n’importe quoi – comprendre des baked beans, des chips au vinaigre, du brûlé de casserole (marmite) et du pudding. Une bonne andouillette, des escargots et du pâté, c’est tellement meilleur ! Puis, à défaut de l’uniforme tant aimé, il peut passer des heures à travailler l’excentricité de son look. C’est tellement plus gai du jaune ou du vert fluo avec des cheveux et une crête roses dans un pays au ciel tout gris ! Bref, les British sont moches – à l’exception faite d’Audrey Hepburn, Kate Winslet, Naomi Watts, Naomi Campbell, Jude Law, Hugh Grant, peut-être… Bon, presque tous. L’Anglais va ensuite admirer la photo de sa reine adorée en pensant : « comme je suis chanceux de vivre dans une monarchie pleine de si beaux chapeaux ! ». 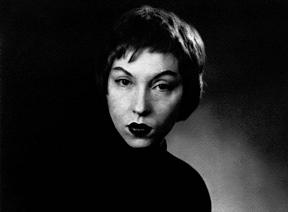 Ana Almeida, University Teacher in Portuguese, blogs about the Brazilian writer Clarice Lispector. Aprender Português é: 280 milhões de falantes em todo o mundo, Jogos Olímpicos de 2016 no Rio de Janeiro, Mundial de Futebol de 2014, oportunidades de emprego e de negócios, etc. Mas, espantem-se, o artigo do suplemento “Intelligent Life”, da revista The Economist, que louva a força da língua portuguesa, não nos fala da economia florescente do Brasil e nem sequer se pronuncia sobre o potencial turístico da beleza de Lisboa ou das praias brasileiras. This blog entry is one of several written by the language staff of the University of Liverpool to celebrate Multilingual Blogging Day. Read the other blog entries in Spanish, Catalan, Basque, German, French, Italian and Portuguese here. Cinzia Cardoni, a Leonardo da Vinci trainee in the Italian section, blogs about her experiences of living in Liverpool. Sono di origine marchigiana, romagnola, toscana e romana. Più romana. La piadina romagnola di Nonno Remo la mangio spesso e la coda alla vaccinara mai provata in vita mia. Questo vuol dire che sono romana. Mi piacciono i racconti, le storie e le favole, la mia preferita è Riccioli d’oro e i tre orsi. Quali sono i miei progetti futuri non lo so. Le scarpe appese ad un filo su una via che si chiama Hope, forse perché qualcuno festeggia la vittoria del Presidente Obama? O perché ho portato con me un solo paio di scarpe da ginnastica invece di due? Speriamo. Mi fermo, guardo in basso e poi di nuovo in alto per fare la foto. Mi viene in mente la signora Rosa che mi ospita nella sua casa nel Merseyside, mi ha spiegato l’origine del nome Liverpool (e anche chi fosse Cy Twombly), ma nella mia città giallorossa questo nome non significa affatto quello che dice la signora Rosa. Solo un brutto ricordo: i rigori. Era il 30 maggio del 1984. Ad Agosto dello stesso anno sono nata con la maglietta numero 12, ma non è da questi particolari che si giudica un giocatore direbbe De Gregori a Nino. Roma-Liverpool è l’attesa prima di imbarcarsi all’aeroporto di Ciampino, è l’attesa di rivedere il proprio bagaglio sul rullo dell’aeroporto di Liverpool, è l’attesa di vedere un cappotto turchese, è l’attesa di conoscere gli studenti e tornare a casa per raccontare la giornata perché qualcuno ti aspetta. È l’ attesa dei tifosi quando arriva il momento del calcio di rigore. È l’attesa di aspettare fine Maggio, che finisco l’incarico e…sperare di riuscire a vedere Nino, che mise il cuore dentro alle scarpe, e corse più veloce del vento… Hop Hop Nino! This blog entry is one of several written by the language staff of the University of Liverpool to celebrate Multilingual Blogging Day. Read the other blog entries in Spanish, Catalan, Basque, German, French and Portuguese here. Joanes Ibarra provides a blog entry in Basque on British universities. Behin batean, abereek eta landareek hizketan zekiten garaian ba omen zegoen unibertsitate izeneko leku bat. Baina denborak aurrera egin ahala, unibertsitate horrek bere izaera galdu zuen. Lehen, unibertsitate hitzak adierazten zuen bai ikasleok bai irakasleok pentsamendu unibertsalaren alde egiten genuela lan. Orain ez, orain beste zentzugabeko gauzen artean galtzen dugu denbora, Blogen Nazioarteko Egunerako “blogeatzen”, esaterako. “Edozein gauza idatzi euskaraz” esan zidan lankideak. “Edozein gauza?” “Zertarako? Zein da helburua?” “Bada, horixe! Blogen Nazioarteko Eguna ospatu behar dugula, administrazio-buruak esan baitu!”. Portuges irakasleari bakailau kruxpetei buruz idazteko eskatu diote, unibertsitatean, literatura ikertzen duen aditu bati. Behin batean, abereek eta landareek hizketan zekiten garaian, ba omen zegoen unibertsitate izeneko leku bat, eta bertan egiten zen lana zentzuzkoa zen. Baina tira… Monty Pythonen mundu surrealista honetan bizitzaren alde ona bilatzen saiatu behar dugu; beraz, nik ere hala egitea erabaki dut. Izan ere, euskaldunon artean euskara beti izan da tresnarik egokiena lelokeriak eta zuzengabekeriak kritikatzeko. Bertsolari batzuek frankismo garaian euskaraz adierazi zuten euren benetako iritzi politikoa, zentsoreek ezin baitzuten ulertu. Halaber, bigarren mudu gerran amerikarrek guda-kode bezala erabili omen zuten. Iraganean izan zen eta etorkizunean ere hala izango da libre, guk nahi duguna esateko. Batek daki, beharbada hemendik gutxira Blogen Nazioarteko Egun honetan jai izango dugu. Eta hori noizbait errealitate bihurtuko balitz, gure unibertsitateen ipuina honako hitz hauekin bukatuko genuke: Behin batean, abereek eta landareek hizketan zekiten garaian ba omen zen unibertsitate izeneko leku bat, gaurkoa unibertsitatearen ipuina besterik ez den bitartean, eta hala bazan al ez bazan sar nazatela kalabazan eta ager nadila herriko plazan. This blog entry is one of several written by the language staff of the University of Liverpool to celebrate Multilingual Blogging Day. Read the other blog entries in Spanish, Catalan, German, French, Italian and Portuguese here. Carme Rodríguez, University Teacher in Catalan, blogs about her students’ enthusiastic embrace of Catalonia during their time at the University of Liverpool. Els estudiants de català de la Universitat de Liverpool aprofiten al màxim els recursos que la ciutat de Barcelona i en general els Països Catalans ofereixen durant el seu any a l´estranger. Aquesta és una de les meves grans motivacions per ensenyar català a la universitat. 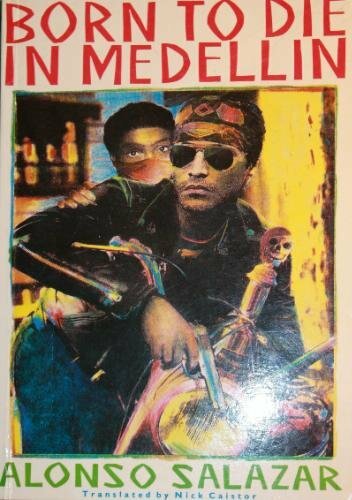 L´interès i les ganes mostrades pels estudiants no només durant l´any acadèmic sinó també mitjançant les activitats fetes durant qualsevol època de l´any. Alguns estudiants han assistit durant l´estiu a cursos de català durant 3 setmanes a les Illes Balears i a Andorra, d´altres s´han integrat a la societat catalana mitjançant la participació activa en programes de ràdio, entrevistes en els Jocs Paralímpics de Londres o en exposicions fotogràfiques, tot en català. El millor de tot això és que aquests estudiants i la majoria d´ells i d´elles volen tornar a viure i estudiar a Barcelona. L´únic “problema” és que hi tornen molt sovint per visitar els amics catalans mentre estudien el seu últim any a la Universitat. És clar que sempre em diuen que practiquen molt el català i la veritat és que m´ho demostren cada dia. I a més a més, mentre s´ho passen molt bé a Catalunya continuen collaborant en les activitats de classe mitjançant la seva participació en els blocs de les assignatures. Què més es pot demanar? This blog entry is one of several written by the language staff of the University of Liverpool to celebrate Multilingual Blogging Day. 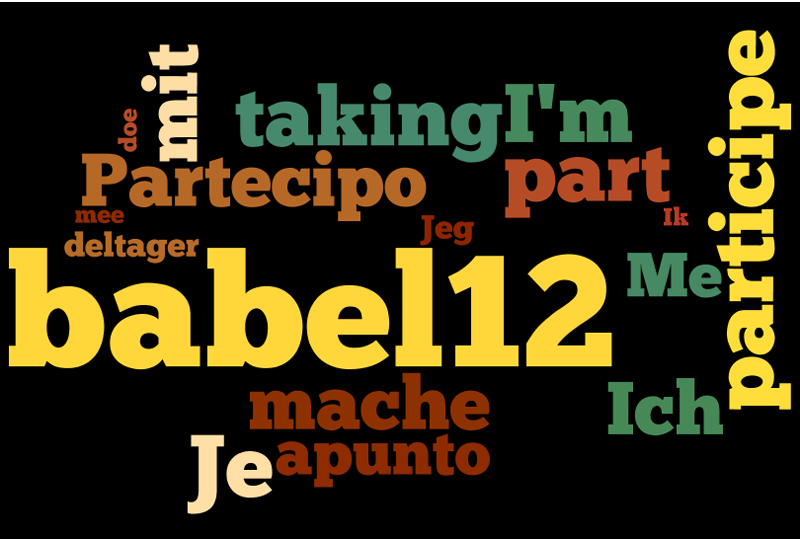 Read the other blog entries in Spanish, Basque, German, French, Italian and Portuguese here.